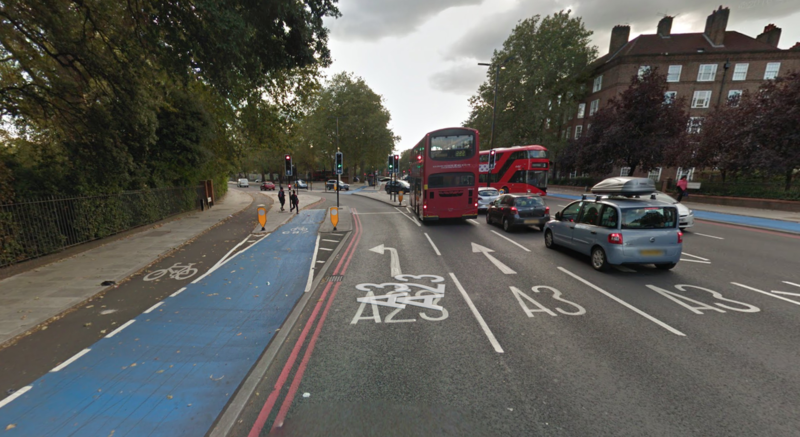 Yesterday Richard Duggan posted an article about cyclists and how we are the most selfish and entitled road users in London. I believe Richard has achieved what he wanted to achieve. Views on his article. Todays journalism is all about clickbait, to get your pay check you need the business to make money and the only way some of these online papers make money is from advertising. The article is full with advertising space but also broken up with links to other parts of the MyLondon website, as a reader, it’s a pain to read the article. It is however labeled as an opinion piece, and Richard him self posted on his Facebook page that he expects hate mail for this article. There is one thing having an opinion, and there is another thing doing no research and trying to understand why something happens or why you have such a belief. I recently watched a documentary on Netflix about flat earthers. It was interesting as it touched on the fact that many people just laugh at those that suggest the earth is flat. However this has a negative effect, it reinforces their opinions on the matter and thus increases the divide. What we should do instead is invite them into conversation and go through the scientific processes on why we believe the earth is round. In that documentary the flat earthers do various experiments that ‘will’ prove the earth is flat, none of them do. So on that note, let’s look into the comments that Richard Duggan talks about and see why he might have those opinions and try to explain the reason why. Barely a month has passed since I started working in London and already I have developed a deep resentment towards the city’s cyclists. Welcome to London Richard, you’ve been here a month, I hope you are enjoying everything that this city has to offer you, it is vast and a great way to see the city is by bicycle. London’s cyclists seem to think they are a cut above the rest of us, whether we’re in cars or on foot. And I do appreciate that cyclists are doing their bit to save the planet. Note that the vast majority of cyclists don’t necessarily do it for saving the planet, we just enjoy cycling and/or hate driving/taking public transport in London. However, there have been so many examples of bad behaviour among this unruly group that I’ve observed since the start of February, from the discourteous to the downright dangerous. And the sixth paragraph. But it’s only been a month, so he must have seen some good stuff, right? Let’s start with my number one bugbear; cyclists during rush hour. Oh gosh. Those damn cyclists during rush hour, the blasphemy of those 9 to 5 office works that are taking to their trusted two wheeled steeds. Crossing the road at times can feel like a death-defying experience and that’s made even worse by cyclists hurtling through the heavily congested streets of Central London at breakneck speed. As a man that has only been in the capital for a month, many of us seasoned Londoners would still call Richard a tourist. Crossing the road isn’t a death defying experience if you do it how you are meant to. Either look for a crossing and wait, or cross where you like. I regularly do the later and it is very safe, you stop, you look left, look right and repeat until you see it is safe. I bet Richard is walking around looking at his phone and treating London like his rural Derbyshire, walking around whilst watching the birds. If Richard thinks cyclists are riding around at breakneck speeds, wait till he sees what motorists are doing. I wonder if Richard knows that more than 80% of motorists don’t follow the 20mph speed limits! I’ve even witnessed a number streaking through red lights, without a care in the world for the pedestrians trying to get from A to B.
I don’t condone those that go through red lights. Sure, some cyclists go through red lights. Very rarely is this done at speed, and very rarely do they do it in a way that endangers pedestrians. Remember cyclists are just as vulnerable as pedestrians, we have no protection, if we hit a pedestrian it’s likely we will fall as well. I do wonder if Richard knows that more pedestrians are injured at crossings with red lights by motorists than cyclists each year. The statistics are available from the Department for Transport websites. You can’t even escape them on the Underground, where cyclists can take a folded bike anywhere at anytime. But just because a bike is folded up doesn’t mean it doesn’t take up space. Travelling on the Tube during rush hour is a painful enough experience without falling over a folded bicycle that’s taking up space where a person should stand. I wonder if Richard complains about people taking suitcases on the underground as well. This is such a problem for Richard that he takes 3 paragraphs to comment about all his bug bears with cyclists on the tube! I also find it astonishing so many cyclists think it’s acceptable to bike around without wearing a helmet. While there’s no law to compel cyclists to wear helmets, the Highway Code strongly suggests they wear them, for obvious reasons. As Richard mentions in the second paragraph, helmets are not compulsory. I wonder if Richard knows what helmets are designed for? Bicycle helmets are designed to minimise concussion to the brain. But they are only designed and tested for tests at around 15mph and falling onto a flat surface, simulating a fall from a bicycle with no external forces. Not for protection in a collision with a tipper truck turning over your legs. Countries that force helmet use such as Australia have seen a decline in people cycling but not a similar decline in injuries. There are various complex reasons why this is such, and there are many resources and studies available for reading on this. A link to another post on MyLondon, I hear this is near the MyLondon offices and Richard is often crossing it. Why on Earth would you risk your own safety – not to mention the potential additional strain you could cause to our overwhelmed A&E departments – by not wearing one? Even if no one wore a helmet, the benefit to getting people out and exercising far out weighs the additional potential cost to the NHS from head injures. We have factors such as safety in numbers, the more cyclists we have the more people get used to them and the safer we are. And there is the obvious reduction in strain on the NHS from people being fitter. Then, of course, there are those who cycle at night without lights or reflective jackets, again a selfish decision which can have devastating consequences. I see far more motorists without correct lighting on their vehicles at night than I do cyclists. Espcially since most cars now have a dashboard that is lit up all the time by LEDs, it isn’t as obvious to drivers that their lights are off than it used to be. And the consequences of people driving without lights is far greater than cyclists doing so. Of course I don’t condone any road users that use the road at night without lights. Reflective clothing on the other hand, not required and of course of no use if motorists don’t have their lights on. 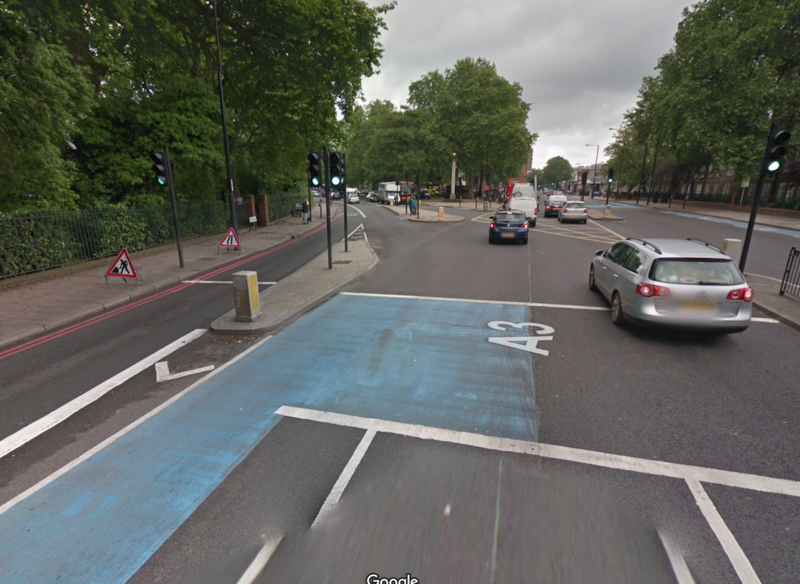 And, FYI, there are cycle lanes in London for a reason, please stop pedalling away on pavements. Cycle lanes are often filled with glass, pot holes and parked cars. You don’t have to cycle on them. Of course cycling on the pavements is not something I would personally do, but think about why people might do it? Perhaps the dangerous speeding motorists who pass cyclists closely or knock them off means that people are scared to cycle on the road. Richard has previously been shortlisted for ‘Young Journalist of the Year’ at the Society of Editors Regional Press Awards in 2018 and 2017 according to his bio on Essex Live and his Muck Rack bio. I’m guessing he got those from his quality articles on Northumbria’s Best Bums 2015: winners and How to cheat on holiday and get away with it. The point I’m making is that Richard Duggan is obviously looking at having some form of career in journalism and as an editor. But his opinions on cyclists are just that, opinions and mostly because he, like the majority of society, is blind to the real safety issues on our roads. Motorists kill more than 1,700 people a year in the UK. Cyclists kill on average 2 people a year. Cyclists are people, motorists are people and some people are arseholes. Don’t be blind to the majority of good cyclists that stop at red lights, have lights and don’t ride on the pavement. Also don’t be blind to the speeding motorists, phone using motorists and the motorists going through red lights. Those are the real danger to our pedestrians in our city, along with the pollution that petrol and diesel engines bring. We must challenge our own opinions, do good quality research and try to understand why people do various things. Richard I hope you enjoy London as much as I do, hopefully you’ll find shortly that cycling is by far the best mode of transport. Mintel released a press release last week about the cycling market in the UK and one of the things they commented on was the average price of a bicycle. In 2012 that was apparently £206, in 2013 it had risen £27 to £233. This seems remarkably low and I have asked Mintel to comment on how they worked it out, I have yet to have a response. The average selling price of a bike has risen £27 from £206 in 2012 to £233 in 2013. Note that they state selling price and not sold price. So it should be prices of the bikes on the shelves and has no relation to those actually sold or what quantity. As I thought this was so remarkably low I decided to look into a couple of the online sellers of cycles in the UK to find out what the average selling price was. These sellers are Argos, Halfords, Sports Direct, Evans, Wiggle and Chain Reaction Cycles. Being knowledgable about the internet, I know a fairly easy way to get the information from the websites and was able to get all the prices of all the bikes on all the sites. This included kids bikes, which are mostly under the £233 mark. From those 6 bike shops we have over 3566 bikes with an average price of £779. I’m highly surprised at the average price of a cycle in the UK being £233, and my findings show that the number is nowhere near when looking at a range of shops.